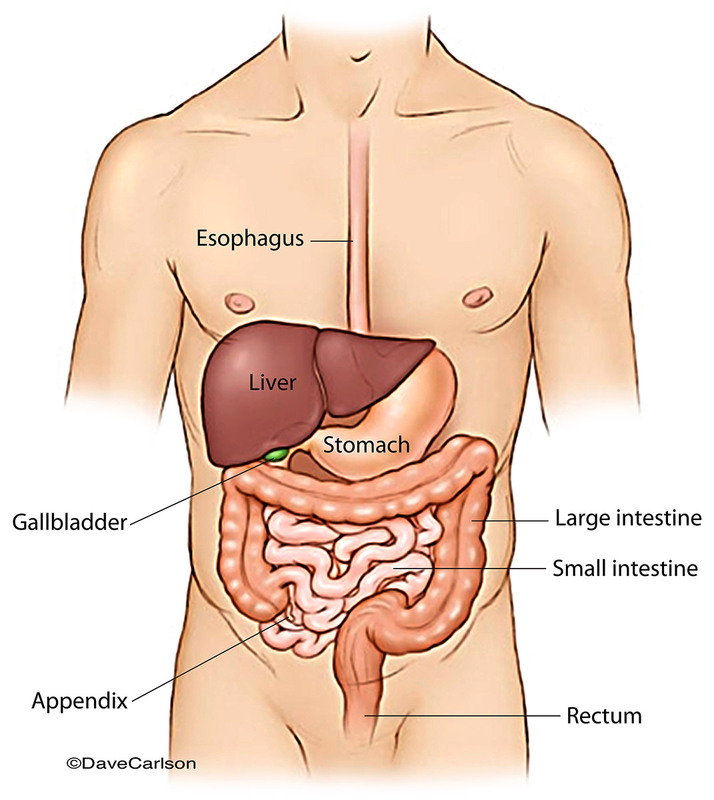 Generalized illustration of the digestive organs of the G.I. tract. Image © copyright by Dave Carlson.